Considerable diversification has occurred in the economy of Pakistan. Industrial, transport and communication, and energy sectors have expanded. Yet, agriculture remains the largest by contributing 23.3 per cent to the GDP and employing 42.1 per cent of total labour force. Textile, sugar and many other industries depend on this sector either directly or indirectly for raw materials. Pakistan is endowed with diverse climates, fertile land, and one of the best canal irrigation systems of the world. Large varieties of crops are cultivated throughout the year, including wheat, cotton, rice, and sugar cane which account for 91 per cent of the value-added in major crops. Minor crops including oil seed, pulses and vegetables account for 12.4 per cent of the value-added in overall agriculture. The rising poverty, especially in rural areas poses serious concerns for policy makers. Social scientists link spreading poverty to the lack of employment opportunities and malnutrition. Whatever little is earned, is spent on food which is insufficient. Low intake of food nutrients affects the labour productivity thus resulting in lower economic growth rate. Technological developments demands the need to help rural poor who are either landless farmers or have little lands. This is possible through a change from the existing traditional system of cropping to a more innovative and commercial farm business. One should begin with an understanding of the resource base of these households. It is perhaps time to bring about a major shift in our approach towards farming business keeping in view the challenges and prospects that will confront Pakistan in future. Little research has been made pertaining to the input use, seasonal pattern of production and other practices followed by the farmers and nurserymen for the production of vegetables. Little is known about the input use, cost of production and profitability, and factors effecting its cultivation. Therefore, research is needed to explore ways and means to put this remunerative industry on scientific lines and to ensure that it can bring prosperity to the growers and the country. A large variety of vegetables are cultivated in Pakistan. More than 36 species are grown and consumed as winter and summer vegetables. 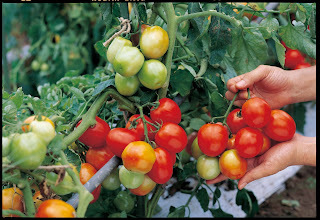 The most commonly grown include potato, onion, tomato, chili, gourds, melons and many more. As far as +AB0- +AAA- concentration of vegetables is concerned, these are mainly cultivated in the vicinity of cities. Bitter gourd is important from the economic and nutritional viewpoint. Little research has been done on its production cost, pattern of input use, farm management practices, profitability and production and marketing constraints. It is ignored for occupying small percentage of total cropped area. The bitter taste indicates its medicinal properties. It is germicidal and cures stomach disorders, rheumatism, liver, spleen, and diabetes. The high nutritive value ranks it first among the cucurbits in iron and vitamin C contents. The seed yields clear brown oil which is edible, though not popular. Its cultivation can be carried out on all types of soils except saline and waterlogged. Two crops of bitter gourd are grown in the province of Punjab, one in January-March and the other in June-July, mostly in Faisalabad, Rahim Yar Khan, Toba Take Singh, Khanewal, and Sargodha. The results of the study carried out in Rahim Yar Khan and Faisalabad indicate that yield per acre is statistically high in Rahim Yar Khan as compared to Faisalabad. This is attributed to higher use of seed, farmyard manure, potash, application of irrigation and plant protection measures and labour for weeding/hoeing. The use of good quality and recommended quantity of seed plays a pivotal role in agricultural production. Same is the case with bitter gourd cultivation. This is proved in the study that those using recommended quantity of seed obtain higher yield per acre. Fertilizer is the key input in vegetable cultivation generally, and in bitter gourd production particularly. The use of phosphorus is significant in Faisalabad and Rahim Yar Khan, resulting in higher yield. 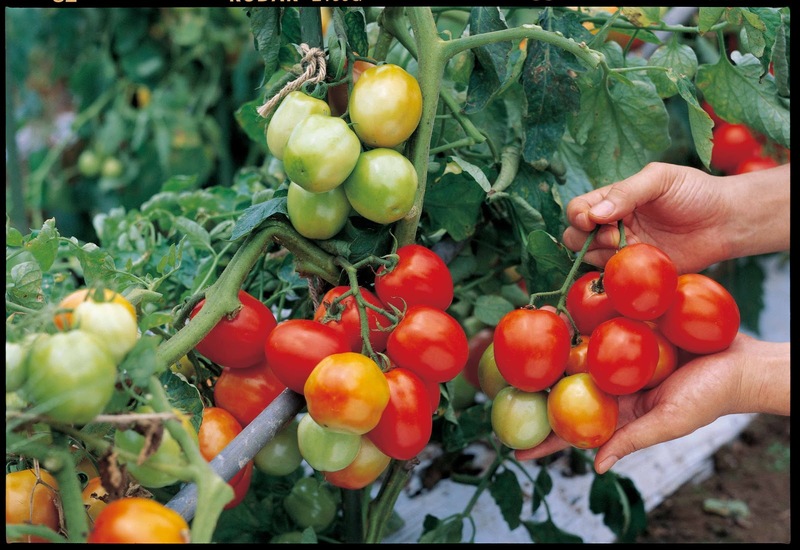 The plant protection measures increase per acre yield by protecting vegetable from the damage caused by disease and pest attacks. The use of other inputs could not be realized until proper plant protection measures are not carried out which are in the range of 3-7 in number. However, better plant protection is reported in Rahim Yar Khan. Weeds deteriorate production in vegetable. This is a crucial farm management practice requiring lot of labour. The total cost per acre is estimated higher because of the extensive use of inputs. However, cost per kg is much more less as compared to Faisalabad. This is the result of higher yield. Returns are also calculated for each district and these are comparatively more for the respondents of Rahim Yar Khan than those of Faisalabad. On an average, about 219.49 labour hours are needed to cultivate bitter gourd from one acre in Rahim Yar Khan and 196.91 labour hours in Faisalabad. High utilization of labour is due to more number of harvesting, weeding, pesticide treatment, and other input application. A significant proportion of labour is +AB0- +AAA- allocated to weeding and harvesting. This shows that bitter gourd cultivation creates more employment opportunities for unskilled rural labour force, particularly women. Relative share of inputs in total production cost is worked out, indicating that labour, fertilizers, land rent, plant protection measures and irrigation constitute major shares in total cost in each district. However, higher shares of plant protection measures and irrigation are estimated for the respondents of Rahim Yar Khan. Results of production function analysis depict that the coefficients of fertilizer, labour used for weeding and farmyard manure are positive and statistically significant indicating that these factors are mainly increasing bitter gourd yield. Disease and pest attacks are reported in both districts. The dummy variable is included in the model. Coefficient of this variable is negative as expected and is highly significant showing that disease and pest attacks badly affected yield per acre of bitter gourd. This result demands for proper plant protection measure at the right time. Constraints in bitter gourd cultivation are shortage of water, inadequate funds, low price of the produce, disease and pest attacks, and poor quality of underground water in Faisalabad and Rahim Yar Khan. Problem solving approach is also identified and it shows that mostly farmers are discussing their difficulties with input dealers, friends and relatives. There are few vegetable growers who are consulting with extension field staff. As discussed earlier that the production shows that the farmyard manure is important in increasing the yield. The result suggests that farmers should apply appropriate quantity of manure for maintaining soil fertility. Further, the farmers could increase the yield per acre by applying more and optimum quantity of nitrogen and phosphorus nutrients. The number of irrigations is significant between the districts Moreover,farmers use less number of irrigations than the recommended ones.